What is youth homelessness prevention, and what isn’t it? Who is responsible for youth homelessness prevention? What are systems approaches to prevention? What program models and interventions exist? What is the evidence for youth homelessness prevention? 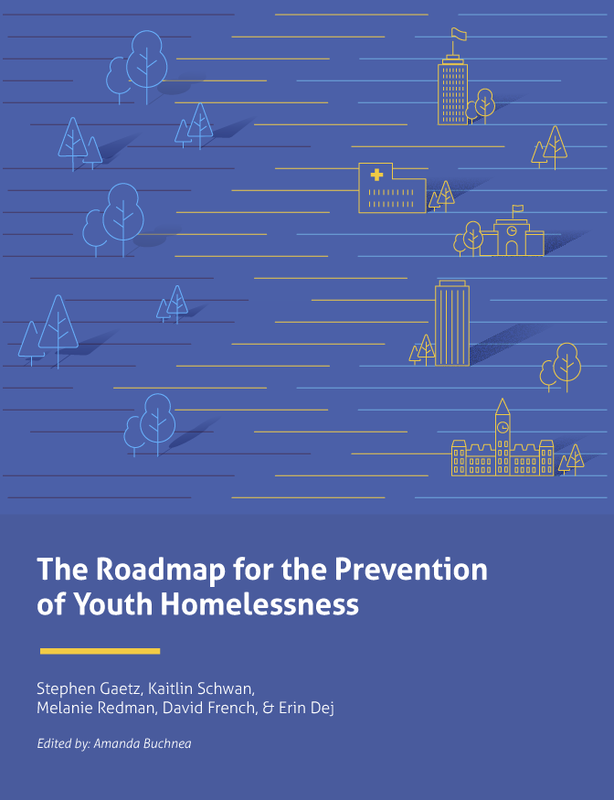 The Roadmap is a useful guide to why and how prevention can contribute to a comprehensive systems response to youth homelessness, detailing evidence-based and informed program models that can help communities and governments implement plans to prevent and end youth homelessness. The Roadmap has been directly informed by consultations with youth across Canada who have experienced homelessness. In order to reform our response to youth homelessness, it is critical that youths' voices, experiences, and insights are the cornerstone of the work. Each report outlines targeted policy and practice components, as well as key evidence and examples from around the world. The series provides an easy way to start thinking about each element of prevention and how it might work in your community, organization, or government department/ministry.